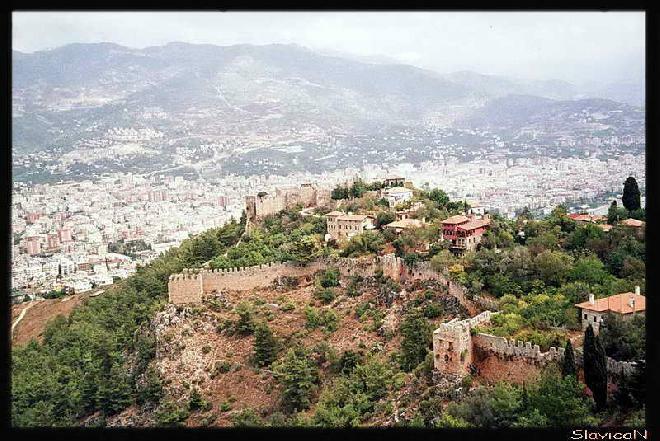 Alanya’s masterpiece, massive walls surrounding the city. They are eight kilometres long, crenellated, with numerous intervening rectangular towers, that are forts in themselves. Uploaded by slavica on 11/3/2007, viewed 4391 times.